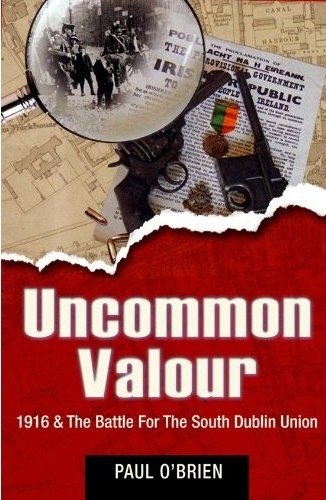 The second book in the series was released in February 2010 and is entitled Uncommon Valour, 1916 and the battle for the South Dublin Union. Historians because of its complicity often overlook this engagement. Commandant Eamonn Ceannt and 120 men of the 4th Battalion of the Irish Volunteers occupied the South Dublin Union, a workhouse and hospital spread over fifty-two acres near James Street, Dublin.